The role of marijuana needs to be added to policy discussion of youth violence and mass murders. Ten days ago three participants were shot at the 420 celebration rally in Denver. It’s probably more than just a coincidence that Arizona shooter Jared Loughner and Aurora Colorado shooter James Holmes were long-time stoners. Now we can add Dzhokhar Tsarnaev to the list of criminals who smoked marijuana regularly—and committed acts of mass violance. Unlike the Arizona and Aurora shooters, Tsarnaev was not labeled a “nut” by his classmates and observers. Why the big change from nice kid to terrorist? Sure, he was radicalized by others, but why was it so easy to influence him? Well, the common link between these three young men is that they lived in states which have passed laws allowing medical marijuana. The THC content in today’s marijuana is much higher than it was in the pot of the 1960s and 1970s. The more the marijuana lobby pretends that medical marijuana is about compassion for those dying of cancer or suffering from HIV/AIDs, the more our youth is getting the dopey idea that marijuana is not dangerous. Most casual observers in states with medical marijuana agree that if is far easier for children to get pot than alcohol. Of course, there are other societal problems which add to mass violence, but the role of marijuana in fostering psychosis needs to be added to the list when we consider policy. Perhaps it is the power of the marijuana lobby that is preventing studies that could link marijuana usage to the onset of Parkinson’s at a young age and to the higher incidence of autism in the children of parents who smoke marijuana or have smoked it regularly. (Casual observers on the autism websites have written/spoken about a correlation between pot users and having children with autism.) Of course, any problem which affects such a large number of people is likely to have multiple causes. We should not be increasing our tolerance of marijuana at this time. There is a reason the federal government took many years to study why marijuana should remain a Schedule I drug, recently upheld by an Appeals Court. Going back the last three or four decades, one is hard pressed to find any mass murderers who didn’t smoke marijuana! Lately comes Loughner, Holmes, Lanza and of course, the Boston Marathon bombers, all potheads, all pyschopaths. Most of the investigation of the Boston Bombers centers around their radicalization and foreign connections, but aren’t they really very similar to the Oklahoma City Bombers? (who also smoked a ton of pot in prior years.) (and tt appears that the Weather Underground bombers in prior years smoked marijuana.) They all had a hatred for the US government, they were all US citizens and they ALL smoked copious amounts of marijuana. Marijuana use may be pushing all these individuals over the edge because it alters brain chemistries in ways we have yet to prove scientifically. The machine operator who killed 6 people while knocking down a building in Philadelphia last week tested positive for marijuana and prescription drugs. There was also the Pentagon shooter 2 years ago. He was in his 30s but from California, and very addicted to marijuana for years. California has had medical marijuana since the mid-90s. The list is very long if go back in time to the people who used pot and were put under the control of Charles Manson. Pot advocates would call it mind expansion, but it can have dangerous side effects and psychosis is one of them. On the other hand, it does not seem that Adam Lanza had marijuana or any other drugs in his system. I would not like to see it decriminalized, the new marijuana is way too powerful to be used recreationally, and I am really not to sure about the medical aspect of it either. I stopped smoking it many years ago, before the higher THC levels, but fell for the medical marijuana scam, after being diagnosed with MS.
Used the medical marijuana for about 2 and 1/2 years, and recently began having psychotic episodes, really bad, wasn’t sure what had happened. I got a gut feeling, so I stopped the marijuana, and have not had any more of those episodes. I believe the marijuana lobbyists are lying to folks, and it’s bothered me to no end now that they’ve gotten to Dr Gupta. The news pundit doctor to say it is okay, it’s not. I won’t ever touch this stuff again, and it had never done that to me years ago, when the marijuana had less THC. This crap today is dangerous. I won’t do it, and won’t have anyone around me who does it, I believe that many people would not be dead, murdered In some of those mass murders episodes recently, if it had not been for marijuana, after experiencing the episodes I did. I will hold this view from now on. And I mean it, I wont even have any friends who are still using medical marijuana around me anymore. I told them, no way. I wont trust you, because I believe it to be bad medicine. Thank you so much for sharing your experience. This is an important anecdote. I wish we had more information of this kind from people using pot medically, particularly in your situation with multiple sclerosis. I appreciate your input. I have worked with criminals for the last thirty years. I have yet to meet a person convicted of a violent crime who was stoned on pot. Alcohol is a totally other story. I am not condoning drug use but the arguement put forward by this article is not based on factual or scientific evidence. Guess it depends on where you live. In parts of US, 40% + of those committing crimes have tested positive for THC. Alcohol is easier and faster to test. The woman who killed 8 on Taconic State Parkway had both alcohol and marijuana in her system, recent use. She used it to help her get to sleep, but also had recent usage in the daytime accident. Mary- Many of the mass murderers had used marijuana, but were not currently under the direct influence during the crimes. Though it is true that some 54% of all violent criminals test positive for marijuana, it’s not necessarily correct to assume they were stoned at the time, That’s because the chemical from marijuana stays up to a month in the body, longer than from any other narcotic, and thus they test positive regardless. More likely, their mental derangement occurred months or years before the crimes. Timothy McVeigh, along with Michael Fortier, smoked copious amounts of marijuana several years prior to blowing up the Alfred Murray Federal Building in Oklahoma City, The Tsarnaevs also smoked copious amounts of marijuana years prior to Bombing the Boston Marathon, Klebold and Harris who shot up Columbine High School, were former pot users, etc. So, while high, the sedative affect usually takes place, and the chemicals (there are hundreds, perhaps a couple thousand} head for the brain. Later while sober, they are then the clear minded psychopathic killers. Thus a Squeaky Fromme, or John Hinkley Jr, both potheads who attempted to assassinate Presidents Ford and Reagan, won’t necessarily test positive for marijuana, Usually the information is found anecdotally, such as with Megan Huntsman the Utah woman in recent news who had been killing her babies for years. The damage is already done to the brain. The precise process is not quite known. Though now it is proven that marijuana can indeed induce mental illness, usually schizophrenia, especially in young minds. Also proven is a link between violence and addiction withdrawal and it’s shown that a certain percentage of pot users do become addicted. Plus with the pot candy/cookie deaths in Colorado, where instant “reefer madness” did occur, that is these two guys went instantaneously, murderously insane, there is shown to be a chemical link from marijuana to the brain that can induce homicidal mania. What or how that occurs is not known, but obviously it exists. So there are several routes medically that marijuana can induce violent tendencies in some predisposed individuals. Oh, in my earlier post here, I must have erred claiming Adam Lanza smoked marijuana. Originally I thought I read that Ryan Lanza said Adam self-medicated with pot or used it to calm down or something, yet I must have imagined this since there seem to be no such reports to substantiate my claim whatsoever. April 20 is Adolf Hitler’s birthday, for one thing. And April 15, 2013 is the date of the Boston Marathon bombing (perpetrated by potheads). From CNN: — April 19, 1993: the FBI’s siege of the Waco compound leaves 76 dead. What a horrible date to celebrate marijuana! I see my response to Mary above is being held up, likely because it is too long-winded! Getting right to the point, many mistakenly believe whatever harms from marijuana usage (like alcohol) should be observed when users are “under the influence”- ie being ‘stoned’. Seldom is that the case. It is true that two individuals in Colorado ingested pot candy or cookies and went instantly, murderously insane, “reefer madness” style. Yet that is rare. Instead the primary concerns are the mental health problems that arise from long term pot usage. And those violent, sometimes homicidal tendencies may emerge months or years later when they are not using marijuna. The mental derangement has already occurred. So the direct influence of marijuana has a sedative effect on users. Seldom if ever are users stoned and violent. Yet hundreds of chemicals are slowly working their way to the brain, which fortunately do not adversely affect most users. But some predisposed marijuana users either induce or exacerbate underlying mental derangement. At some later point in time, when they may not even be using marijuana any more, they can be dangerously violent. And since some 54% of all violent criminals uses marijuana, it’s a given that origin of many homicides is rooted in the mental derangement of marijuana users. Skeptics to this claim should simply google virtually ANY homicide in the news and see so how often the perpetrators of the crimes use marijuana. Try any, I just researched OJ Simpson for instance, sure enough, another pothead. Then of course there are the myriads of mass murderers, bombers, shooters, whatever, and nearly all of them were using marijuana at some point. Then we have the holocaust that the illegal American drug culture has created in Mexico and all through Latin America. Some one hundred thousand Mexicans have been murdered to date as a result of supplying America’s drug habit, most of which is marijuana, Grisly murders too- torture, chainsaw decapitations, live burnings, etc. And where o where are American liberals detesting these crimes? It appears that despite the teachings of the Koran, hashish (the concentrate of marijuana) and high potency marijuana are rampant in the Middle East. One would think that the same medical principles established in the West regarding the role marijuana has with mental illness, and the sometimes violent tendencies that will occur with marijuana and other drugs, would also apply to the Middle East. Could some of their senseless, homicidal violence be rooted in drug use, specifically the cannabis plant? We do know that Palestinian child suicide bombers are given heavy dosages of hashish to carry out their missions to blow themselves up, I would think any discussion of violence and youth and drugs would necessarily include Palestinian children. We do know the Shoebomber was a druggie too, And there is some, albeit sketchy evidence, the 911 terrorists were using marijuana. Google Hamburg, Germany. Oh, certainly any discussion on deaths from pot must include narco-terrorism. 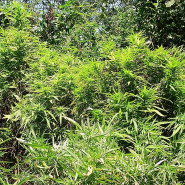 About two-thirds of drug smuggling into the US is pot, the other third, the ‘harder’ drugs. Estimates of the drug money flowing out of the US run about a hundred billion dollars a year, give or take. So, those American spent dollars go to the murderous gangs, the murderous cartels, and also, very important, fund terrorist organizations all over the world, whom incidentally have infilitrated Latin America too. So Americans in their blind bliss and ignorance, who participate in the illegal US drug culture, including marijuana, indirectly finance terrorist organizations such as Al Qaeda. In turn, perhaps as a way of saying “Thanks”, the terrorist organizations plant bombs, bring down airplanes, buy weapons systems that are used to attack US forces, kill our troops, kill Israelis, or anybody else for whatever reason. Just in case anybody, somewhere out there, is interested, credible reports indicate the mode of Palestinian suicide bombers is rooted also in cannabis. They load up women and children with hashish and bombs and heavy doses of radical propaganda (tantamount to brainwashing), and give them instructions how to carry out the act of terror. Another interesting tidbit released in the news today regarding the pothead mass murderer Jared Loughner. Bomb making equipment was also found at his home. So add another to the list of potheads associated with bombs. The Weather Underground, Ayers, Dorne and others- McVeigh and company, the Tsarnaevs- plus in the last couple of years, there have been several aborted attempts- a man in San Jose planned to bomb Wells Fargo building, and a couple or more school kids caught with explosives, or plans to blow up schools (one in Oregon this last year? 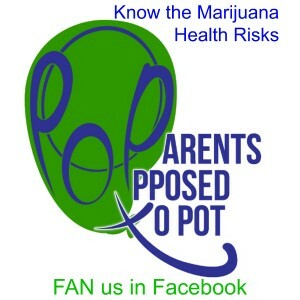 )- and of course, all pot heads. Btw, Loughner was diagnosed schizophrnenic. And we now have medical proof marijuana can induce schizophrenia. The handwriting is on the walls. Another interesting case not mentioned here is discussed by Cliff Kincaid–Jerad Miller who in June shot the police officers in Nevada recently was a pot seller and user who had been convicted and jailed for selling pot and posted extensively about it. Kincaid sidetracks this issue to try to argue Miller is left wing because he is a pothead rather than focusing on how pot has affected him mentally. Some of these killers have been Muslim, right wing, left wing or no wing–using guns, bombs, or other means–the common factor is use of marijuana and/or multiple drugs. I too have been struck by this factor of heavy pot use as a common factor in these killers as I have witnessed pot induced psychosis and have relatives who had psychotic breaks after using pot/other drugs. These links between marijuana/drug induced psychosis and violence should be further researched as they are not merely anecdotal and vehemently dismissed by marijuana apologists. Obviously marijuana is only one of a unique set of factors involved, so what is its exact contribution? Evan and Lynn, you give much good information that policy makers need to think about it. Agreed that the “marijuana apologists” dismiss these ideas, and they should not. Please write your concerns to the NY Times, to the powers that may be in Washington, DC, Oregon and Alaska, the next localities to have legalization referenda in November. Thoughtfulness: Thank you for your kind words of encouragement. Yet there exists a vast brick wall of resistance toward even entertaining with on open mind our thoughts. The established propaganda, the pre-conceived ideas, the misperceptions, intentional deception, the duplicity, the favortism and reverence toward marijuana, the addiction, etc., sometimes backed up by threats of violence, constitute that brick wall. But it sure would be nice if there were to be some discussion at the national level- the president, politicians, congressional investigation committees, talking heads in the news media, the talk show hosts, etc.- at the very least wondering and contemplating if so, so much of this senseless mayhem just might be related to mental illness. They might finally realize the issue is not just one of “being high on marijuana” (or other drugs), but one of prior drug induced mental illness that can eventually lead to violence, whether “high” or not during the commission of the crime. And then maybe they might connect the dots and realize that mental illness such as schizophrenisa can be a result of drug use, as is already proven by science. (Mind altering drugs do altering minds). And then they might wonder if the THOUSANDS of homicides- including assassinations, assassination attempts, bombings, school shootings, and all sorts of mass murders- occurring by pot heads (or former users) are because they are the perpetrators are schizophrenic and dangerous because of prior marijuana (and other drug) use. The tricky part why marijuana is so insidious is that it affects users in different ways. Nobody knows why yet, but the factors could be the potency of the marijuana, the quantities uses, as well the predispositions of the user, including hereditary, environemntal or circumstantial factors. So the general population of users mostly of whom are smoking mild varieties anyway are only mildly affected, with little, none, or imperceptible adverse affects. So the proclaim themselves as living proof as to the harmlessness of marijuana. But then some who may be predisposed, or who smoke copious amounts, or who inadvertently use more potent strains, may induce their own psychosis. Oddly though it’s interesting that pot when ingested to the stomach can really induce instant mania. (interesting only from the medical perspective, as to avoid political motives here out of respect for the families). So it might be chemicals in marijuana when ingested to the stomach might hit the blood stream , and in some users go right to the brain and cause homicidal tendencies. Smoking for some individuals may be having the same affect, just that it is a longer, more circuitous process that takes more time? Nobody knows. Okay, listen up, here’s a test I just did today. With an open mind that my hunches might be wrong, and not having any prior knowledge of this case, I decided to research the current murder trial of Jodi Arias currently in the news (Aug 2014). If she had a history of marijuana use, one might reasonably conclude she was mentally ill perhaps induced or aided by drugs, which in turn may possibly be a (or the) contributing factor in the crime. .
What strikes me too, if others are paying attention?, more and more of these heinous, senseless crimes are being committed by women. And they too are ALL druggies. It seems so unusual, so out of place, unless one considers other factors as we are seeing in this day and age. So now add another one to the mounting list. August 2014 is the fiftieth anniversary of when Bob Dylan introduced the Beatles to marijuana. Very surprising that no one in the media has mentioned this. How things change. Who would have ever imagined that exactly fifty years later a president of the United States would essentially endorse marijuana as a relatively harmless drug? Statistics show that one in six adolescents who regularly engage in pot will develop schizophrenia who would not normally have. Same odds as losing in Russian roulette actually. So when Obama made those ridiculous statements, one can be assured another million kids will see marijuana as harmless and take up the habit, like so many of the adults around them. So imagine another one hundred sixty thousand new cases of schizophrenia popping up, and imagine how many of those will be homicidal. Curiously, Obama’s home town of Chicago is now the new murder capital of the US, despite strict gun control laws. Considering that some 85% of Cook County arrestees test positive for narcotics, could perhaps drugs have something to do with their high murder rate instead of guns, Mr. President? Speaking of the President, there are new revelations about the assassination attempt from Nov 2011. The original story was some right-wing wacko was taking shots at the White House hoping to hit the President. Apparently the shooter, Oscar Ramiro Ortega-Hernandez was a heavy marijuana user and his express purpose for the assassination attempt was his frustration over marijuana laws. What further evidence do we need? Fromme, Moore, Hinkley, Loughner, Chapman and now Ortega-Hernandez- THEY ARE ALL POTHEADS! And then what’s just plain weird, the President proclaims, as though he’s an expert, marijuana is relatively harmless. Just bizarre. Is is not registering upstairs that if potheads attempt to shoot politicians and celebrities, that just maybe something in marijuana is inducing homicidal derangement? For the record I researched the Erika Murray murder case to see if marijuana was somehow present, And of course, why would anyone think otherwise? Well, at least the connection is to her boyfriend who grew, dealt and distributed marijuana. One might suspect Erika’s obvious mental illness derived from narcotics abuse supplied by her boyfriend over the years, and of all things, who would have thought marijuana? Add this to the list, AGAIN! New cases; The Canadian shooter had two convictions for marijuana possession and may have been schizophrenic–speaking to a friend that the devil was after him. Concurrently the tox report on Michael Brown showed significant quantities of marijuana, enough to cause impairment, and had marijuana on his person. The latest findings show that Brown struggled with the police officer in his car and reached for his gun. This shows a complete lack of judgement consistent with being impaired. Yet when suggesting that marijuana may have been a factor in Brown’s behavior, an addiction doctor was implied to be racist. Brown was known to be a rapper and a very high prop of rap music contains marijuana references, according to a UC Berkeley study. The lifestyle of marijuana use and increase in the amount being used by younger and younger kids is alarming. This is not just about African Americans; it affects kids of all races. Yet it is difficult to draw a conclusion as to whether marijuana is responsible or that marijuana is just so common that it is an unrelated factor. Since no one is scientifically examining all these anecdotal cases, and it is politically incorrect to imply that marijuana is a trigger or contributor for violent or psychotic behavior, the media will continue to ignore or downplay all these instances of violence by heavy marijuana users. Lynn, Thanks for pointing out those cases. I had never considered the PC angle. Yet, the MSM is completely mum regardless of race regarding how so many of these violent criminals use narcotics. However, what few seem to realize and likely the main reasson no one is listening, is because almost everyone thinks the only harms from narcotics occur while the users are under the influence, ie intoxiated from the drug they are taking. Though this has its own set of problems, the main issue is that abusers of narcotics, specifically the cannabinoids, are becoming mentally ill, Months or years later, even when they say they are “off drugs”, something in the mind can trigger violent acts. All reasoned minds would suspect alcohol as a factor, just as we should mind altering drugs. Plus it’s very likely the cannabinoids are creating adverse effects on the brain’s natural endocannbinoid system which regulates behavior such as hunger or mood. Mind altering drugs just may be altering minds! But for some reason, society most ignores the much stronger link with narcotics. And that probably has much to do with not understanding the enduring mental illness asccocition, not just the intoxication phase. Plus the MSM downplays this too, because they want to legalize pot, The truth might jeopardize that agenda. Btw, I just noticed this woman planting pipe bombs in Georgia was a drug user too. So add her and several others recently to the list of the myrirads of drug users who commit violent acts. And it happened in Washington state where marijuana is legal. Who’d have ever thunk. Besides pot is supposed to make users mellow and peaceful. Understand everyone paying attention, the crimes do not necessarily occur during the intoxicated condition, ie being high. The mental illness starts months or years prior. The heinous crimes surface any time thereafter, even when not ‘high’, because they are permanently, mentally ill from the narcotics, or exacerbated a nascent underlying mental illness that likley would never resulted in murder. My opinion pf course. You can confirm this with a Google search and find his marijuana possession arrest record from several years ago. What we are facing now with legalization is that we will not be able to confirm many of these connections in the future, because there will be no legal trail. Part of the duplicity? Lynn has reminded me of a very imporant point and one that is crucial. That is, yes we have a mountain of evidence linking narcotics use, specifically the cannabinoids, mental illness and subsequent heinous crime. There are thousands upon thousands of them already, new ones occurring daily, and almost ALL of them, perhaps at least 95% are users of narcotics. The link is astonishing. Yet it is very important to understand that only concrete, analytical science can establish a causal connection. Anecdotal evidence, and tons of it, is at the very best only enough to allow us to warrant suspicion, and nothing more. There may be other factors, such as sampling bias, or behavioral patterns, that offer other explanations. However the brain does have an endocannabinoid complex which regulates behavior such as mood and hunger for instance. And marijuana and hashish do overwhelm that complex. Plus we already know of some of the adverse affects such as addiction, behavior. It stands to reason the cannabinois from marijuana may be permantly altering the brain’s chemistry. Plus those two pot candy cases in Colorado of instant homicidal mania may offer clues too. Interesting research is surfacing regularly. In addition to the known link of marijuana to schizophrenia, we know scientifically now that pot does lower IQ and the latest, amazingly so, marijuana use can shrink brains! Apparently the tolerance of neurotransmitters increases with chronic marijuana use, so as to downregulate, or diminish the role of those neurons, hence shrinking. Now here’s another factor no one is discussing. So many chronic users are doomed to never achieve their full mental potential in life. Their cognitive skills suffer. Of course many will start off bright, and continue to be so, yet they may still suffer from at least what could have been. And then you have the average folks, who really can’t afford to lose 8 IQ points. That is huge. So now our concerns should be can society afford to have this loss from the productive population? our biggest challenges in this world, to conquer all these looming problems, like the climate, the environment, the national debt, etc will be compromised. Can we survive this? It will be a terrible loss, And what about all these folks driving cars or flying planes. Their decision making might not be optimal, Plus I am fearful that marijuana decreases feelings in the brain too, so these people care less about human life. Do we want them driving next to us on the freeways? I don’t know, but I think we might have a constitution right to prevent some of them from ever driving, What do you think?